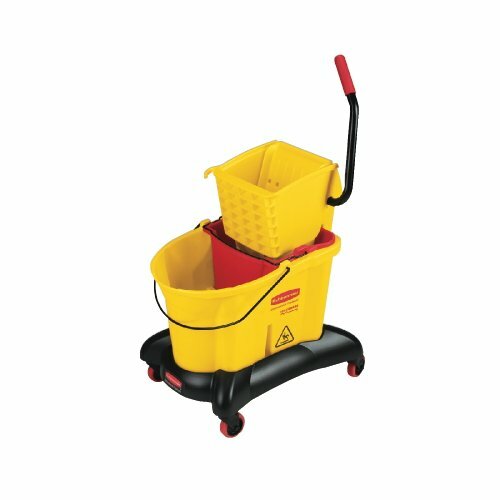 Reduces cross-contamination: Unique quot;bucket-in-bucketquot; design separates clean and dirty water, which reduces cross-contamination potential and leaves a cleaner, less slippery floor. Generating less than one-tenth the noise of a traditional mop bucket, the Quiet Caster Dolly allows you to work quietly in noise-sensitive environments, day or night. Bucket capacity: 36 qt. Wringer capacity: up to 32 oz. mops. Capacity Range (Volume): 35 qt; Depth: 22.4quot;. ~ Includes one bucket and one wringer.